The electrical resistors for industrial furnaces are one of the fundamental components for the heat treatment of metals. 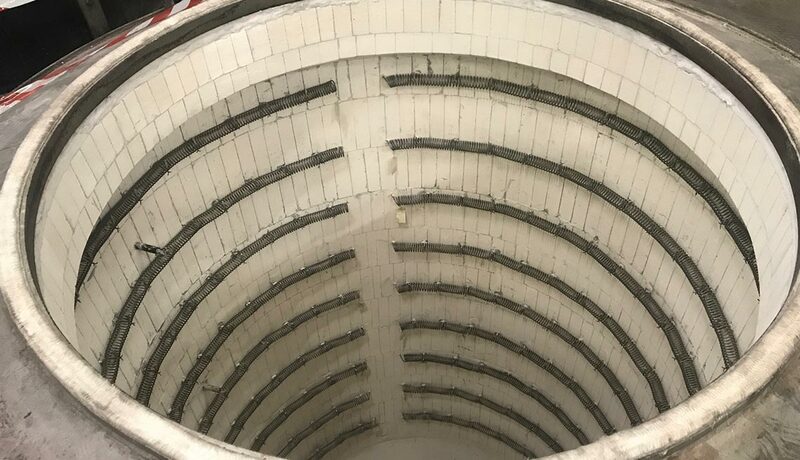 As part of an industrial oven, they are the ones to allow the overheating inside the chamber, that is responsible for the deformation or the hardening of the material object of the treatment. Every day we face processes even pretty complex, for which manual skills, ability and planning skills are required. Besides all this, we also need cutting-edge instruments that, in order to be so called, must be realized with the best materials. The electrical resistors for industrial furnaces are a perfect example: ours are made by a special wire realized by the leaders of the sector. An electrical resistor is a component that limits the power passage inside a circuit. So, it is an essential tool for every kind of machine that needs a control of the temperature, such as refrigerators and oven, even the industrial ones. Without the electrical resistors for industrial furnaces, the machines would have a really brief lifecycle. They are realized with different materials disposed on layers, but the heart is mostly made in ceramic, surrounded by carbon and nickel. We also can realize customized electrical resistors for industrial furnaces, depending on the client request, with different types available. We use the electrical resistors for industrial furnaces for our own machines, since they are realized with high quality materials. Moreover, we use these components also for our assistance and maintenance services, keeping them available for our clients. These tools are part of each of our own machines, from the annealing to the hardening one, through the nitriding and melting one. Thanks to these little elements we are able to offer the best furnaces for thermal treatment for metals, that responds to the international guidelines and that are characterized by high quality materials.